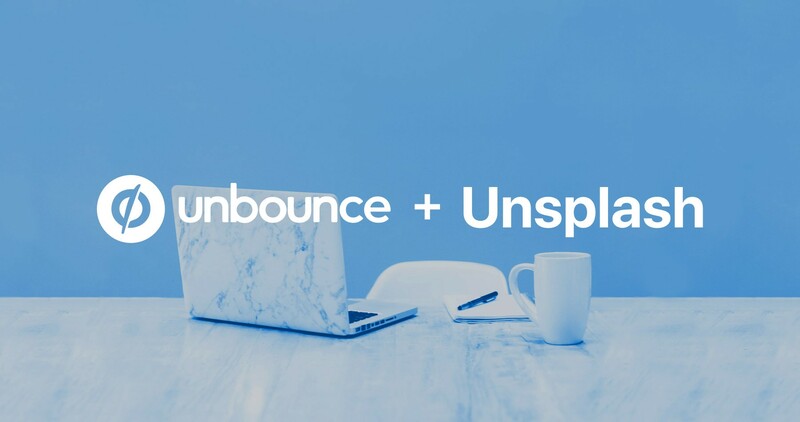 If you haven’t heard of Unbounce, they are the easiest way to build and test custom landing pages, website popups and sticky bars. No need to rely on developers, or wait months to have your website up and running. 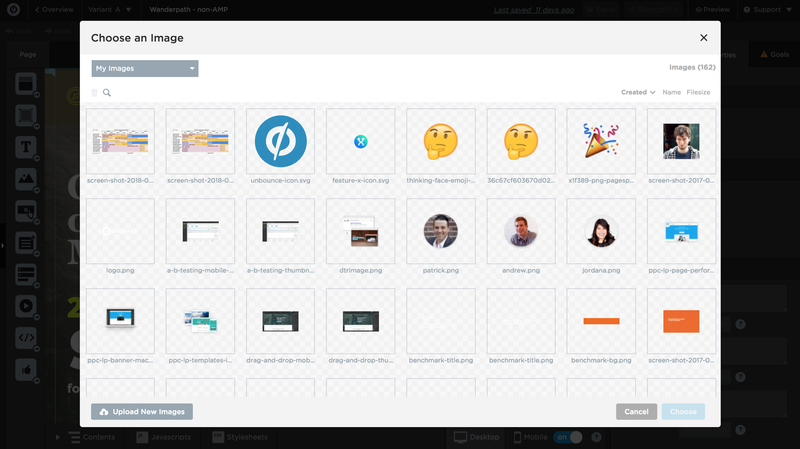 Unbounce makes it super simple to experiment with your ideas, and launch quickly, without having to touch your website or a line of code. Over 15,000 brands use Unbounce, and if you’re still not convinced, you can explore their builder for free. The Unbounce team also hosts their annual Call to Action Conference, which happens to take place this August 27th-29th in Vancouver, which is where their team is based. Being a Canadian, I’m especially proud to be partnering with the Unbounce team. 🇨🇦 As of today, you can now easily pull in Unsplash photos into your Unbounce landing pages. Choose from more than 600,000+ beautifully curated Unsplash photos, for free. 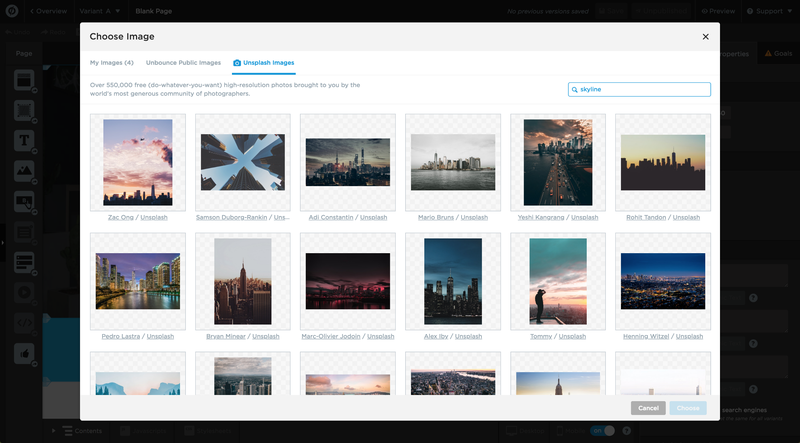 Each photo credit links back to the photographer’s Unsplash profile, also allowing you to see other work contributed by this photographer. More on Unsplash Partnerships. This partnership with Unbounce is part of our continued mission to push the impact of photography as far as we can.